The sun was streaming in through my living room window the other day, making me feel all happy and upbeat and summery , even though it was still pretty cold outside. 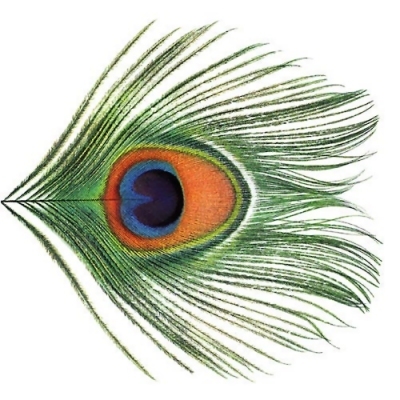 Upon deciding that i needed some music to enhance this lovely mood the first album which sprung to mind was this little beauty , Apple Venus (Volume One) by XTC , a late period classic from one of my favourite bands. There’s eleven songs on here, each a perfect little gem in it’s own right. As it played i had cause to reflect : this album came out very near to the end of the bands lifespan, it had no hit singles on it, and it simply doesn’t get nearly enough recognition. 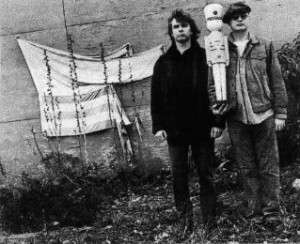 In their early days XTC were one of the bands which helped define the “New Wave” sound of the late 70’s , in their case an angular , jerky kind of pop. Some even called it White Funk. 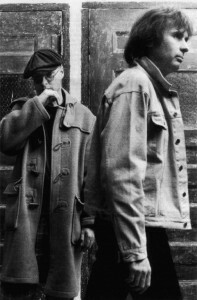 The bands core duo of Andy Partridge and Colin Moulding were there from the start, a third key member Dave Gregory joined later. It was a style which brought them a fair degree of early success but one which they quickly outgrew and by the early 80’s they’d moved on to lusher, greener, pastures. Hit singles “Making Plans For Nigel” and “Sgt Rock (Is Going To Help Me)” were gems from this period and “English Settlement” was a fantastic album which spawned “Senses Working Overtime”, possibly the bands finest moment on 45rpm. As the decade moved on they continued to refine their sound, most impressively on the 1986 release “Skylarking”, a masterpiece, which was produced (not without difficulties !) by Todd Rundgren. 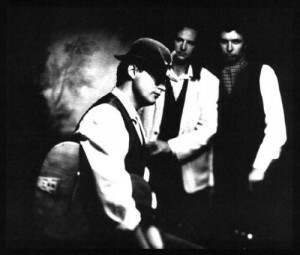 Another two albums followed between then and 1992 at which time the band took a much needed break, fuelled by a legal case and the breakdown of record company relations. They didn’t release another album for six years by which time even the most fervent of XTC fans would , i suspect , have fancied that the game was up. Fortunately this was not the case and , completely out of the blue , they made a triumphant comeback in 1999 . Which of course leads me rather neatly to “Apple Venus (Volume 1)” , a quite wonderful set of songs which showcases both Partridge (especially) and Moulding at the top of their game. The record shuffles in slowly , a plucked string opens “River Of Orchids”, but it builds wonderfully throughout , it’s a lovely Beach Boys/Beatles influenced work , full of magnificent pop nous and catchy hooks. “I’d Like That” is a belter , one which Paul McCartney would have been proud to put his name to, sounding a bit like the kind of thing he released in the early 70’s. Then at the very end another sublime six minutes with “The Last Balloon” , a song of regret and wonder at how things (love? life? the world ?) have all turned out so sadly in a “where did we go wrong” kinda way. We’re left with a mournful yet truly lovely flugelhorn solo from Guy Barker, fading fading slowly , up and away into the ether …………………….. The third main man Dave Gregory actually left the band just before this albums release although he plays on it . Dave was the lead guitarist and also played keyboards and apparently he thought the direction they were headed wasn’t right for him and left him with little to do , there’s little guitar on the album to be fair. It was a strange decision though when you consider the material on “Apple Venus (Volume 2)” which was released shortly after , which features guitars a-plenty and was apparently recorded at the same time as Volume One but there you go. That’s also a release you should consider checking out BTW , it’s laden with more upbeat tunes , heavy guitar power-pop in excelsis ! And that’s it , Apple Venus (Volume One), a very good , indeed excellent album but one which didn’t make much of an impression and had no hit singles on it. A shame really that it’s not much better known. The album is actually deleted now so you’ll maybe struggle to track a copy down , the good news is that it’s on iTunes and well worth a few bucks of anyone’s money. Get clicking…………..
Like these guys soooooooooo much. Interesting tidbit. Last night I was listening to a nice little compilation of ambieny music featuring both of the Enos and Bill Nelson (Be Bop!). It features 2 tunes by Harold Budd and………………..Andy Partridge. Good stuff, and you would have never guessed that he may go this way.